All incarnations of Dr Who have been creative dressers and neckwear has been an interesting decision for most. 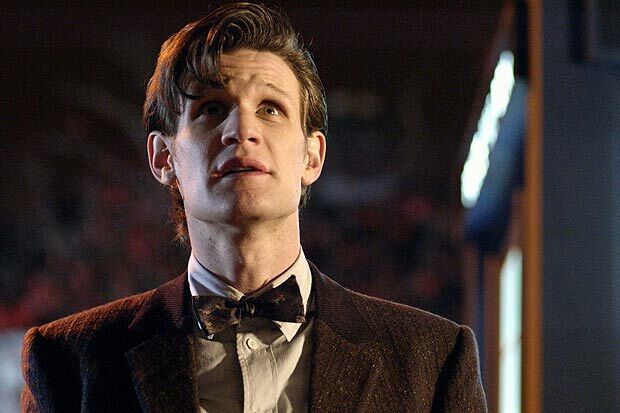 Everyone knows of the Doctor that proclaimed "bow ties are cool" Matt Smith as the 11th incarnation of Dr Who. His decision to wear a bow tie at all times ensured that bow ties experienced a resurgence of popularity across the globe and not just among fans of the BBC TV programme. He didn't have to tell everyone that bow ties are cool, Matt rocks the bow tie and it is just plain obvious how cool they are. The bow ties that Matt wears are Self Tie Bow Ties. This style of tie requires a little practice and manual dexterity to tie correctly. But the ability to tie your own bow tie is a skill that never ceases to impress people. So the small amount of effort and practice required to learn how is well worth the investment. Self Tie Bow Ties come in different shapes and styles - from plain colours to patterns and square ends, pointed ends and thistle shapes, there are options for every occassion and personality. All the Self Tie Bow Ties available from Timmy Pickles are pre-owned vintage items. They represent great value for money and unique designs that ensure you will not bump into the same tie at the next Dr Who convention you attend. Browse through the full range to get an idea of what is available. Although Matt Smith is possibly the best known Doctor for wearing bow ties, he was by no means the only Doctor to be seen in this iconoclastic choice of neckwear. The first Doctor Who opted for a very loose hand tied bow. Created from a single long straight strip of fabric. This style of bow tie is unusual and ot seen very often nowadays. Easier to tie than the neat bow worn by the 11th Doctor, and not so necessary to get it tied perfect. 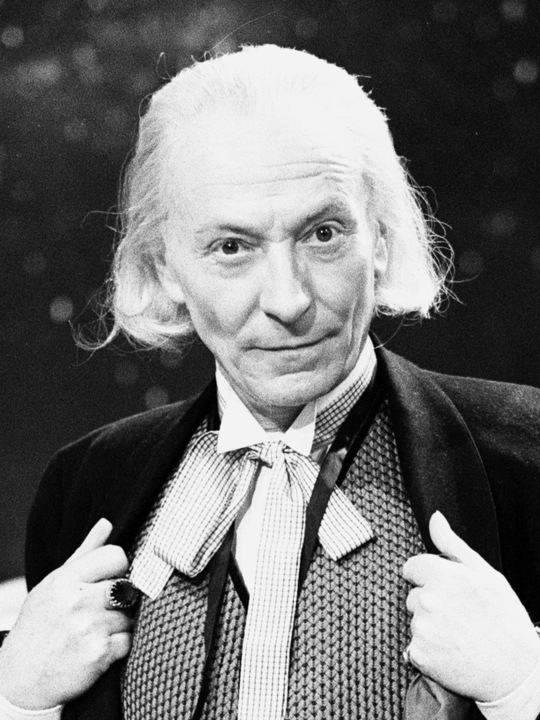 This style looks best with the wing collar, waist coat and long jacket that William Hartnell wears so well. After the first incarnation of the Doctor, the second Doctor, Patrick Troughton went for a little more unkempt appearance. his Beatles-esque out of control mop of dark hair, topped off the high waisted Rupert Bear trousers, long shabby jacket and open necked scruffy shirt. Holding the look together, and hinting at the eternal class of the Doctor is the hanging bow tie. The look suggests that the Doctor could look smart if he had the time but he is too busy saving the universe to be bothered with such insignificant troubles. The style of Bow Tie that the second Doctor Who wears is a Clip On Bow Tie. The Clip On Bow Tie is a wonderful invention. No need to learn how to tie a Self Tie Bow Tie. No panic when you are rushing to leave the house on time. The bow simply clips on to the collar of your shirt, looking amazing without any effort. It also means that you can have your collar undone, leaving the tie clipped to just one side and dangling just like Patrick Troughton. The other major advantage of the Clip On Bow Tie is that it enables designs to be created that are simply not possible in Self Tie Bow Ties. Contrasting colours, plain colours and patterns combined and carefully structured shapes. This style of Bow Tie has amazing options and could easily work for the 11th Doctor look too. Take a look through all of the Clip On Bow Ties to see what is available, you will be surprised. During the 1970s the 3rd Doctor Who incarnation played by John Pertwee could be seen occassionally wearing quite a large bow tie as was the fashion at the time. If trying to recreate this look a Pre-tied Bow Tie from the time John Pertwee was playing the Doctor may be the best choice. Satin and velvet were the fabrics of choice in this decade and velvet bow ties to match velvet jackets were de rigueur. The Pre-tied Bow Tie shares many of the advantages of the Clip On Bow Tie in that it is easy to put on and no skill required. Generally though they do not tend to have the same structural design and appearance, with a softer, larger bow being the most typical form seen. Timmy Pickles always has a great selection of 1970s Pre-tied Bow Ties to finish off your 3rd Doctor Who look. Sylvester McCoy as the Seventh Doctor took things in the opposite direction to, well, everyone else. For most, the tie is an accent to an outfit. A splash of colour that highlights your personality. This incarnation of the Doctor managed to make his choice of neckwear more of a... low light. When compared to the colour and vibrancy of the jumper, the tie just tries to hide. There is a great selection of Vintage Tiesavailable from Timmy Pickles to finish the McCoy look. Check out the Vintage Tie category for a wide choice. Leave it loose and poorly tied with an open neck shirt to complete the outfit. Last, but by no means least, there is the 10th Doctor Who, David Tennant. A favourite amongst many fans, Tennant brought a casual but smart style to the Doctor that looked great. He could be seen in both a Self Tie Bow Tie and a long Vintage Tie during his time on the Tardis. Timmy Pickles can help with both of these looks with a huge choice of vintage Self Tie Bow Ties and a cool selection of Vintage Ties. There are many different colours and patterns to choose from, so no need to be dull. Select one that fits your personality and style and bring out the who in you. All incarnations of Dr Who have been creative dressers and neckwear has been an interesting decision for most of them.